There remain many unanswered questions about the circumstances of Surrey CC’s decision to abandon its attention-grabbing proposal to raise council tax by 15%. The text exchange between leader David Hodge (Con) and who he believed was a Department for Communities & Local Government official certainly gave the impression an agreement of some sort had been reached with the government on social care funding. This was strongly denied by both sides ahead of the announcement that Surrey was set to participate in a 100% business rates retention pilot in 2018-19. Could this be the “sweatheart deal” referred to by Labour leader Jeremy Corbyn as he challenged prime minister Theresa May over the leaked texts last week? LGC understands DCLG had previously only been interested in allowing combined authorities and areas with devolution deals to take part in the pilot. Had this stance been relaxed to appease Surrey and prevent any further political embarrassment for the government? If this was the case, it immediatley raises the question about how much the county would gain from the pilot and whether this would be enough to begin to address the gaping hole in the council’s social care funding that started the whole saga in the first place. 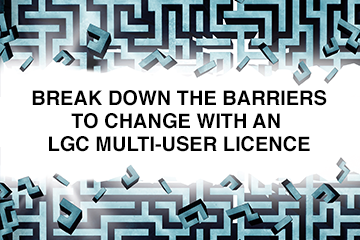 When LGC sought some clarification from Surrey on the terms of the agreed pilot, the response prompted some surprise at how developed the terms appeared to be at such an early stage in a complex process. A spokesman initially told LGC that the pilot would involve a 50:50 split between the county and districts, with “tariffs etc” to ensure both tiers continued to get the same level of funding they receive under the current system. This spokesman then confirmed LGC’s interpretation that this therefore meant the only additional funds that would be available to the county would be from any growth, which would also be split evenly between the two tiers. With Surrey understood to be generating growth well above the baseline, the county could benefit significantly from such an arrangement. But whether the rewards would be great enough to offer a long-term solution to social care funding remained to be seen. However it is clear that type of arrangement would have had a significant bearing on proposals for other two-tier areas ahead of the national roll-out of 100% retention. And it certainly raised some eyebrows among those approached by LGC for comment, particularly as work is ongoing between the County Councils Network and District Councils’ Network on various potential scenarios that include yet to be determined responsibilities, levels of funding, and appropriate risk in two-tier areas. The districts in Surrey who responded to LGC’s enquiries were positive about participating in the pilot, with one emphasising the important role they could play in supporting social care through work on promoting wellbeing and providing supported housing. But they also said it was too early to comment on potential arrangements as no agreement had been reached. A few more phone calls later and Surrey then told LGC that the details initially provided had been a “general steer” on how the pilot might work rather than confirmation of agreed arrangements. The mooted 50:50 growth split could end up being pie in the sky, but it certainly could be interpreted as an intriguing insight into the thinking behind the scenes at Surrey CC into possible future arrangements. But as with the real reason behind Cllr Hodge’s last minute decision to abandon holding a council tax referendum, what was actually being discussed in the infamous leaked texts, and how business rates retention will actually work in practice, the questions just keep on coming. Surrey CC does not face unique financial challenges and would almost certainly have lost its planned referendum on increasing council tax by 15%, an independent probe has found. Councils will receive £300m from which to give discretionary support to individual ‘hard cases’ in their area following the business rates revaluation, chancellor Philip Hammond has said in his Budget.